Love Journal is the best Pre-wedding Photography studio in Melbourne. All of our photographers are international award-winning photographers and we have received more than 100 awards in 3 years. Our pre wedding photographers Melbourne are truly blessed to experience such a number of diverse pre-weddings, being based in Melbourne we are fortunate to be right amongst the melting pot of multiculturalism in Australia. Our pre-wedding photography thrives on your love as a couple, the diversity of family traditions and the cultural nuances. Our couples are well aware of our passion and creativity, with every moment we strive to capture the very best. Our dedication is to you and we are rewarded by the emotions we get back, but more so the beautiful imagery, something we make sure you will hold dear for the rest of your lives. Over the years we have developed a style that is creative fine art photography makes up our style of pre-wedding photography. This is the love and care we pour into your journey to husband and wife, which is LoveJournal Photography. Our studio is proud members of MPA (Master Photographers Association), AIPP (Australian Institute of Professional Photography), WPPI (Wedding & Portrait Photographers International), ISPWP (International Society of Professional Wedding Photographers) and Fearless Photographers. Love Journal Kids and Love Journal Make-up & Hair are two brands under Love Journal. Love Journal Kids is a maternity, newborn, kids and family photography business. Love Journal Makeup & hair is focus on wedding make-up, commercial make-up and make-up academy. Photographer Neo Ni had two workshops on "Melbourne Chinese Photography Week 2018". Photographer Neo Ni's photo was selected as "The Best 100 Wedding Photos of 2018" by ISPWP. Photographer Gabriel Tan is titled "Licentiate Master Photographer" LMPA by MPA UK. Photographer Cliff Cao is titled "Licentiate Master Photographer" LMPA by MPA UK. Photographer Neo Ni had has first Master Portrait Photography workshop for 12 photographers. Photographer Neo Ni had his first 80 people lecuture of Portrait Photography. Love Journal moved to a 300 sqm new studio. Become one of the largest Wedding and Portrait photography studio in Australia. Love Journal received more than 100 Internation Photography Awards. Art director photographer Neo Ni is titled "Aisa Top 20 wedding photographer of 2017-18" by AsiaWPA. He is the only Melbourne photographer got this title. Photographed Chinese celebrity Rinrin's pre-wedding and engagement party in Melbourne. Love Journal become the only photography studio that allowed to do pre-wedding photography at Palais Theater. Photographer Gabriel Tan was interviewed by <Hearld Sun>. Photographs were published on <COSMO Bride>. Love Journal is the first Australia photography team entered Bhutan for pre-wedding photography. Photographer Neo Ni is titled "Assocaite Master Photographer" AMPA by MPA UK. He is the frist and only Melbourne photographer got this title. Photographer Neo Ni was interviewed by <Pacific Daily>. Photographer Gabirel Tan was interviewed by <The Age>. Love Journal team did pre-wedding photography for Erin Bateman in "Married at first sight"
Love Journal team was interviewed by <The Age>. 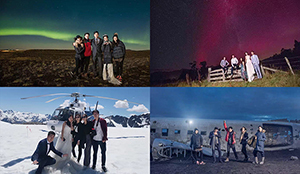 Love Journal is the first Australia photography team entered Iceland for pre-wedding photography. Love Journal is the first austerised pre-wedding photography team entered Uluru. Photographer Neo Ni is titled "Licentiate Master Photographer" LMPA by MPA UK. He was the frist Melbourne photographer got this title. First time entered International Awards. 2 images were selected as "Top 50 wedding photos of the year".